LG Group Chairman Koo Bon-moo died on May 20. The late Koo is credited with helping the company grow into a global tech powerhouse under his 23-year leadership. LG Group held a funeral service for Koo on May 22 and will hold an extraordinary shareholders’ meeting next month to approve the appointment of Koo Kwang-mo, the eldest son of the late chairman and executive at LG Electronics, as a member of the board of the conglomerate. That means LG is set to go through the leadership transition process from the third generation of the owner family to the fourth generation. Attention is being paid to a generational shift at family-controlled conglomerates in Korea, known as chaebols, and some tasks for leadership inheritance. Here is economic commentator Chung Chul-jin to examine the succession of management in Korean chaebols. First, Mr. Chung explains why LG Group’s case is drawing so much attention. LG Group has two main principles in leadership succession. The first principle is handing over the reins of the business group to the chairman’s eldest son. Under the second principle, the group’s leader leaves the post when he reaches 70. The family tradition of succession by firstborn sons has been held since the years of LG Group’s co-founder Koo In-hwoi. The unique tradition shows contrast to other conglomerates in Korea, with almost all chaebol groups in the nation suffering from a feud between brothers for management succession. But that’s not the case with the Koo family. Koo In-hwoi turned over the leadership to his eldest son Koo Ja-kyung, who did the same to his eldest son Koo Bon-moo in 1995. Now, Koo Kwang-mo is expected to follow suit by taking over the management of the group. LG Group’s smooth and principled leadership transition is drawing special attention. LG Group has been faithful to the Confucian family tradition of having the eldest son take the leadership since its foundation. The group’s founder and chairman Koo In-hwoi died on December 31, 1969, and his younger brother and founding member Koo Chul-hwoi announced in January the following year that he would step down. The president then selected his nephew and the eldest son of the founder Koo Ja-kyung, who was the vice president of Goldstar, which is today’s LG Electronics, as the group’s chairman. In the same way, Koo Ja-kyung handed over the leadership to his eldest son Koo Bon-moo in 1995, when he turned 70. Koo Bon-moo began working at the chemical affiliate of the group, which was called Lucky Corporation at the time, at the age of 30. He accumulated work experience for the next 20 years before he became the group’s third chairman. After that, he demonstrated his leadership by challenging new businesses, including telecommunications and displays. LG Group’s sales stood at 27 billion US dollars around the time when he became chairman. But the figure grew to 148 billion dollars last year. Behind the company’s successful growth with little conflict, there is another unique culture, in addition to the tradition of succession by the eldest son. LG was divided into several business groups with the conglomerate itself, GS Group, LIG group and LS Group. But there was no clash or friction in the process. The tradition of feud-free separation is traced back to the partnership between co-founders Koo In-hwoi and Huh Man-jung, a rich relative of Koo’s wife. In 1947, the two established the Lak Hui Chemical Industrial Corporation, now known as LG Chemical. The partnership between the two families lasted for decades without any conflict—which was very rare in the business world. The tradition led to the dispute-free separation of GS Group, which is led by members of the Huh family, from LG Group in 2005. 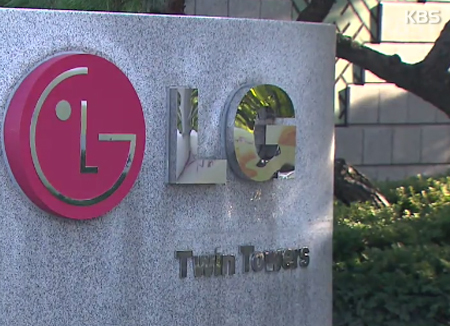 LG shifted to a holding company structure in 2003 as the first conglomerate in Korea to do so, preventing conflict among relatives over inheritance of management control. I think many theses will deal with the two families’ partnership that lasted for nearly 60 years and their ideal separation. Now, Koo Kwang-mo is expected to take the helm of LG Group, which has grown based on the management philosophy that stresses harmony among people. But there is a major hurdle that he has to overcome. LG Group will be the first Korean conglomerate to realize the fourth-generation leadership inheritance, if Koo Kwang-mo successfully takes over the management. But he will have to pay over 900 billion won worth of inheritance tax. It is roughly 900 million US dollars. The Fair Trade Commission has already recognized Samsung Electronics Vice Chairman Lee Jae-yong as the chief of Samsung Group, the largest conglomerate in Korea. The 2015 merger between the two Samsung units—Samsung C&T (Construction and Trading) and Cheil Industries—is believed to finalize Lee’s takeover of Samsung Group. But a Supreme Court ruling is a burden on him, as his bribery charges are related to ex-President Park Geun-hye and her confidante Choi Soon-sil’s power abuse scandal. The upcoming Supreme Court trial is a major obstacle that he has to get over. Securing the funds for the large inheritance tax bill is one of the factors affecting LG Group’s father-to-son leadership transition. The younger Koo has to pay nearly 1 trillion won in taxes if he takes over the entire stake of his late father. Samsung Group has recently transferred management control from Chairman Lee Kun-hee to his son Lee Jae-yong, but an impending Supreme Court ruling remains a stumbling block. Hyundai Group, meanwhile, is faced with objection to its governance structure reform plan, which is the first step toward corporate succession. There are growing concerns over management succession at major conglomerates. There are criticisms and worries. Many are questioning if hereditary succession among family-run conglomerates is legal. It wouldn’t be a problem if they observe the law, pay relevant taxes properly and change to a holding company structure. As a matter of fact, however, irregularities including tax evasion have been rampant. Amid the recent power abuse scandal surrounding Hanjin Group that sparked a huge public uproar, many Koreans are questioning why the companies allow the members of the third and fourth generations of the owner families to participate in management, rather than having competent business professionals manage the companies, like in foreign countries. In fact, some younger members of the owner families become executives in their 30s, only four or five years after they start working. There are doubts that they are qualified enough to assume the posts. In the past, owner families took hereditary leadership transfer for granted. But many are pointing out that it is necessary for the conglomerates to stay away from the previous practice and make efforts to shift to a new leadership in a transparent way. Lawfulness or legitimacy is important in the process of management succession. A company can be run by a professional manager or an owner family member. There may be mixed opinions about which case is better. Both systems have their own advantages and disadvantages. Korean conglomerates have mostly chosen the owner management system so far. If owner family members receive the reins of the companies legally, they have to prove their management abilities. For instance, Samsung Group Chairman Lee Kun-hee made a remarkable achievement through the company’s semiconductor business. For chaebol heirs and heiresses, demonstrating their abilities and producing some positive results is a major mission and a rite of passage. The fourth-generation of LG Group’s owner family is set to inherit the leadership of the firm, and other major conglomerates such as Samsung, Hyundai, SK and Lotte are also on the threshold of the era of next-generation leadership. It remains to be seen how the large business groups in Korea will meet social demand for reform.